Elaine Hayes photo by Nick Kramer. 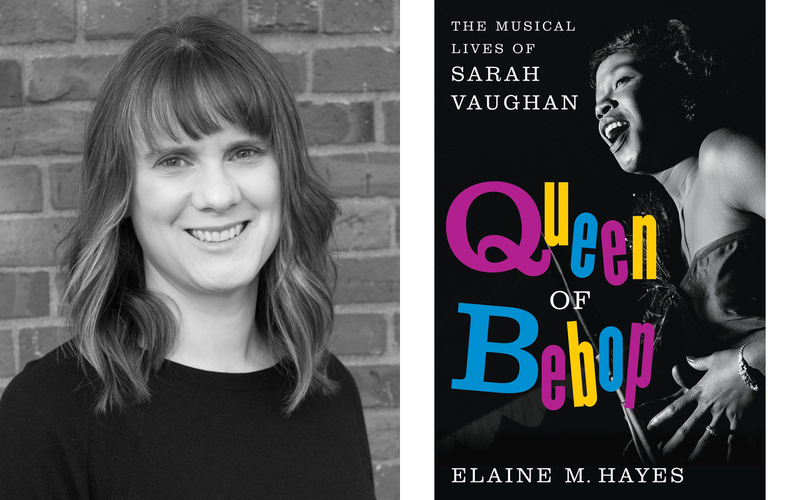 Elaine Hayes Seattle-based jazz historian and author will be in conversation about her book Queen of Bepop: The Musical Lives of Sarah Vaughan (Ecco Books) with Executive Director of Earshot Jazz John Gilbreath; while Gail Pettis, one of Seattle’s beloved vocalists will honor Sarah Vaughan with interpretations of her music. Accompanying Gail will be Darin Clendenin on the piano. Considered a Sarah Vaughan expert, Hayes has received much praise for her thorough and illuminating work into the life of one of greatest singers of the twentieth century. “In this rich and vivid biography, Elaine M. Hayes pays Vaughan the proper tribute she has deserved for far too long” (Rolling Stone).